This art and design studio believes that Ideal driven work can make human being more human. 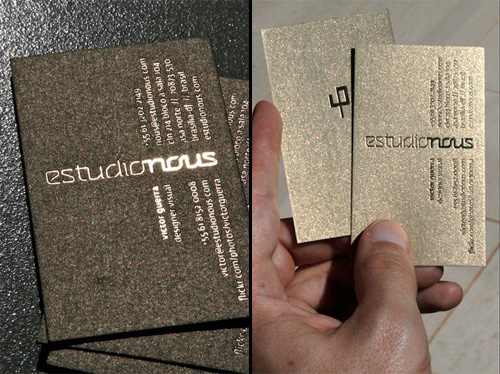 Art and design are the ways ESTUDIO NOUS practice the Philosophy. PHI, the golden ratio symbol, is the studio's logo and intend to say: we have original ideias, we make proportional shapes. GOLD IS GOLDEN Based on the idea of golden ratio and the ideal of constructing a golden man, the vertical card uses golden metallic paper and gold hot stamp foil.